As I had said before, the Janet Clare fabric ranges are very popular and this 'Great Gulls Quilt' pattern was designed by Janet Clare herself. 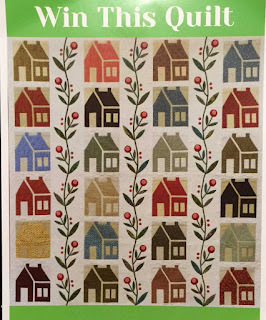 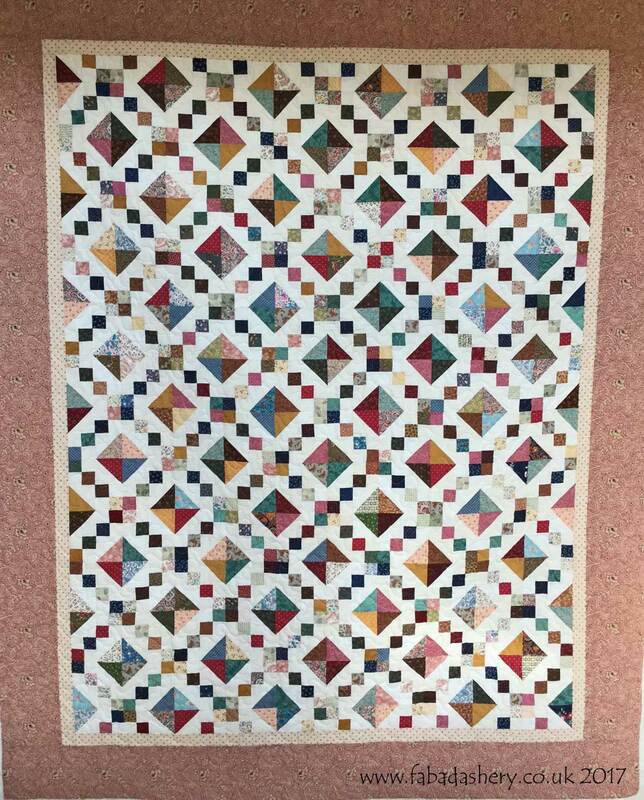 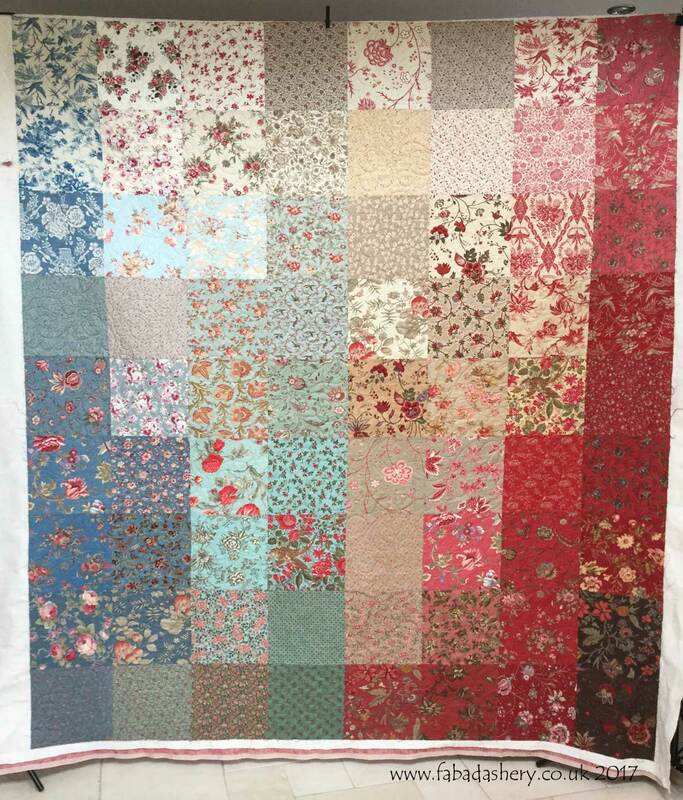 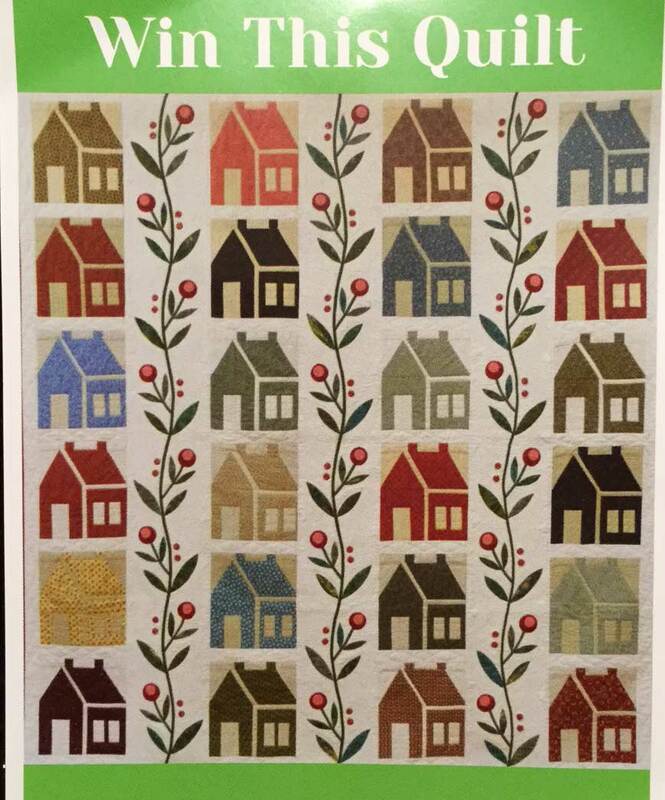 It was made by one of my longarm quilting customers, Sandra, and it showcases the Hearty Good Wishes Moda fabric range by Janet Clare. 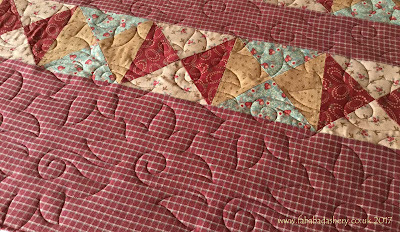 Sometimes we are drawn in by the fabrics which are SO lovely that a quilt like this is a real opportunity to enjoy them in their full glory. 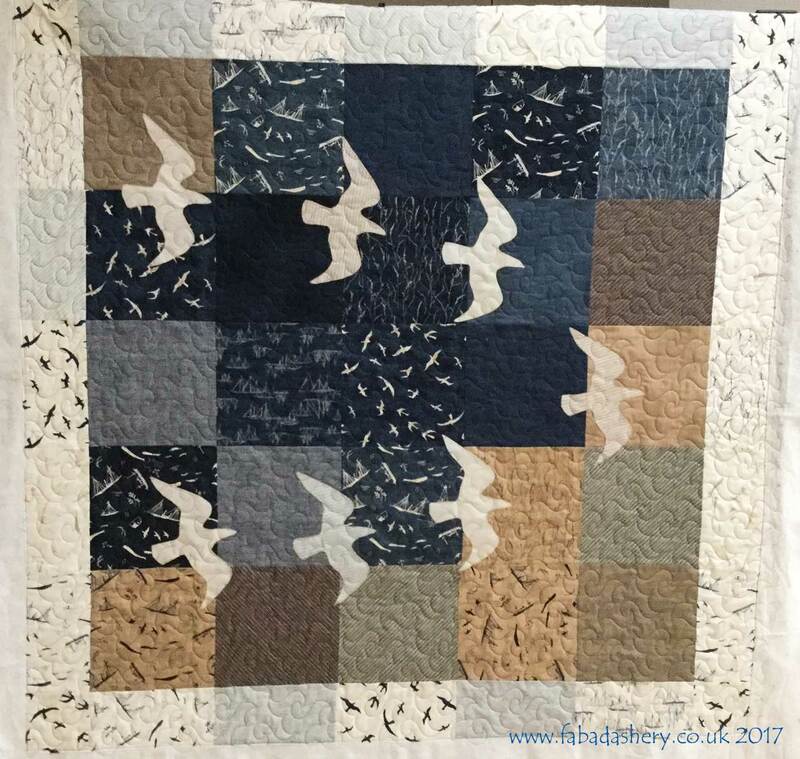 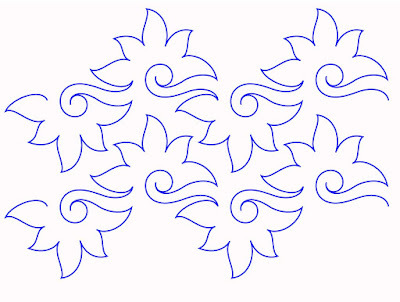 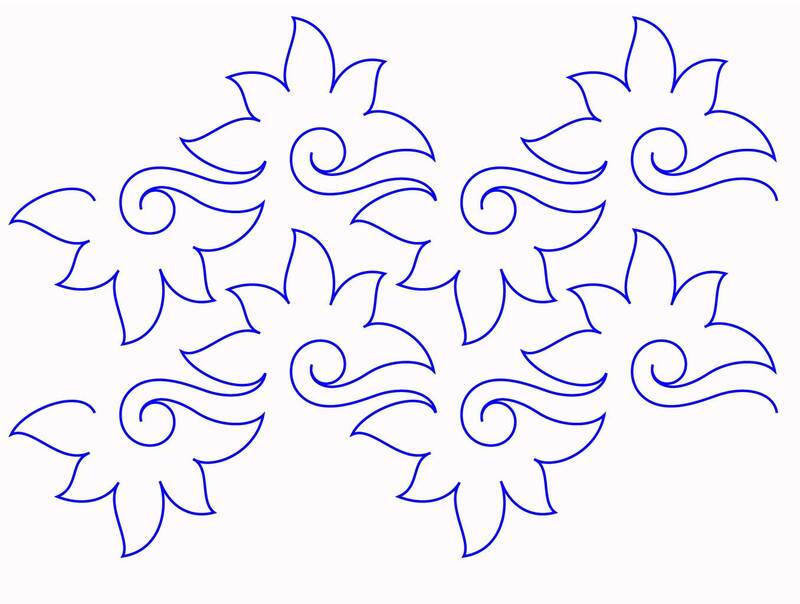 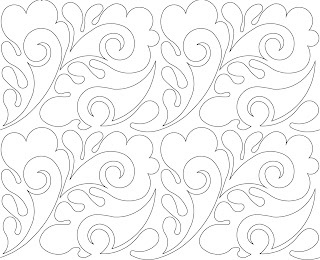 Sandra chose an all over digital pantograph pattern called 'Happy Times' designed by Hermionee Agee. 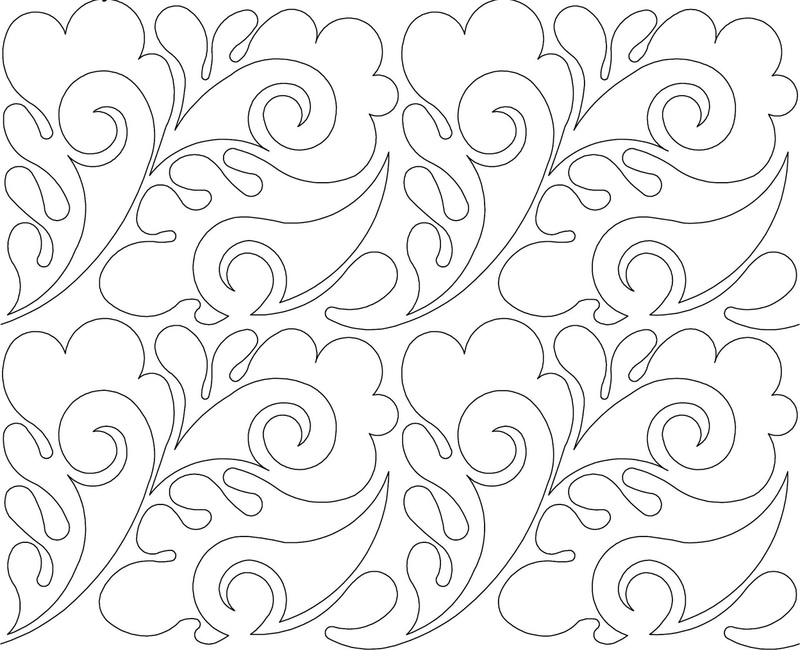 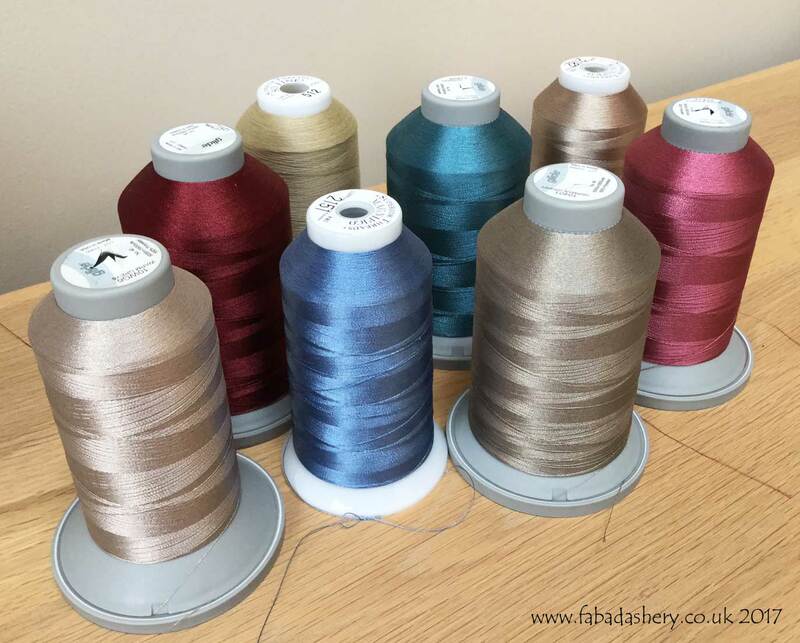 This is one of my favourite patterns as it seems to suit every occasion. 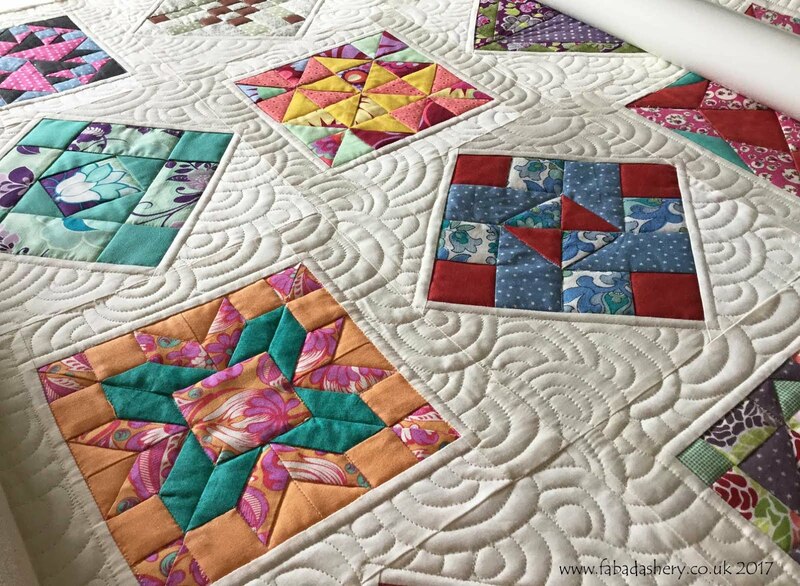 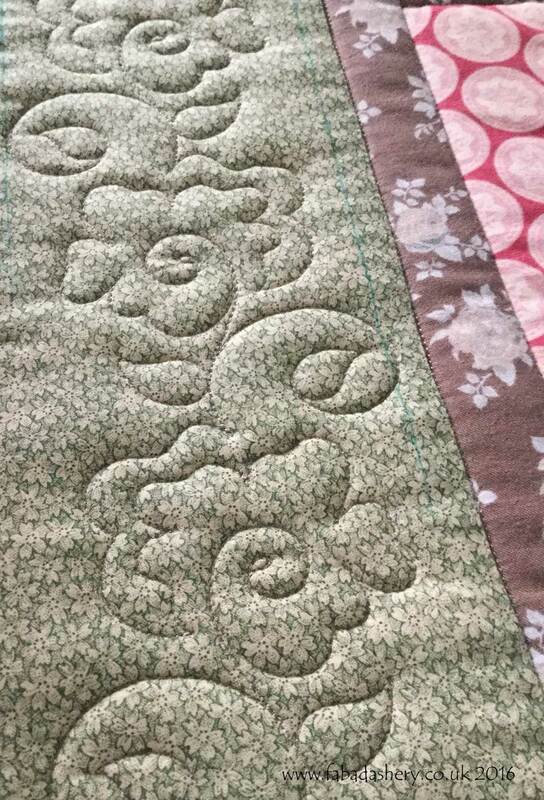 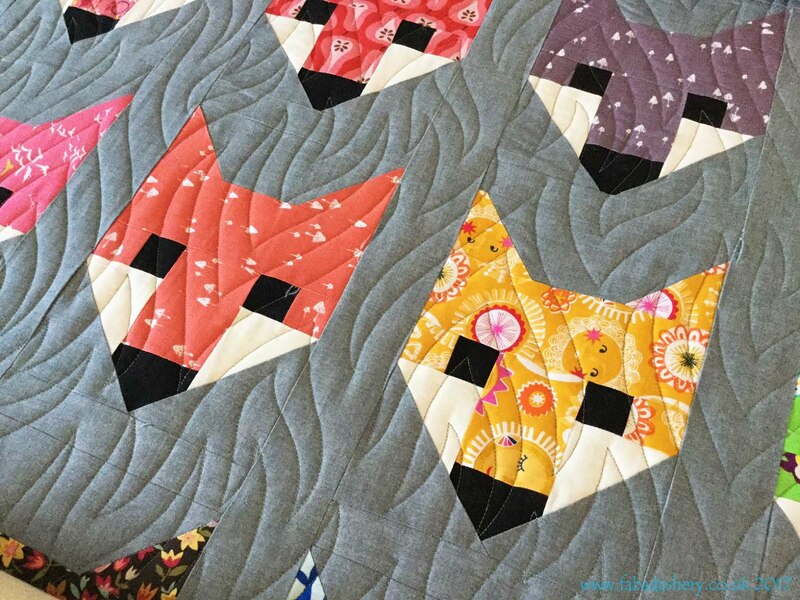 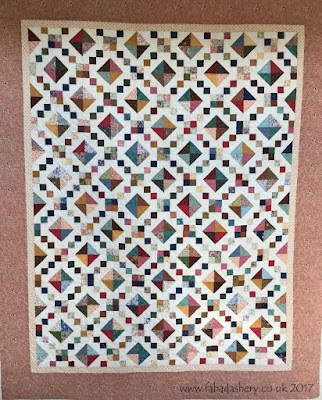 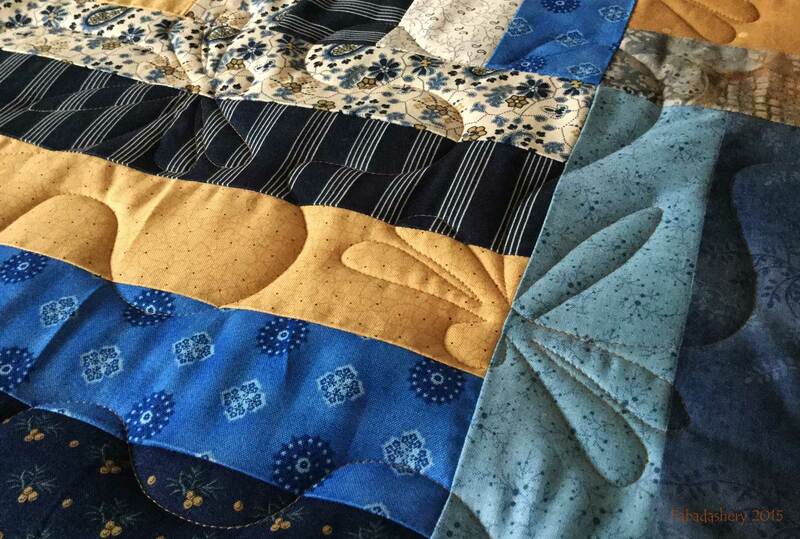 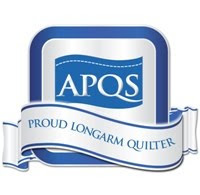 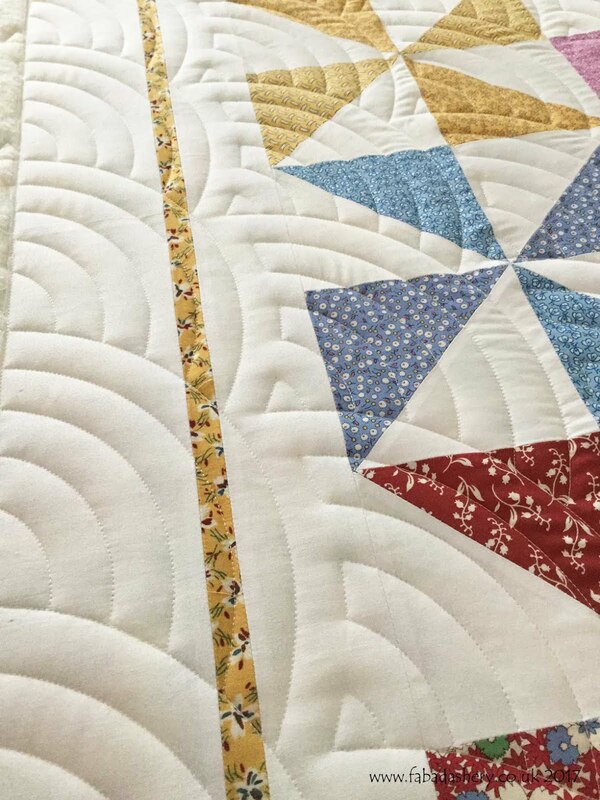 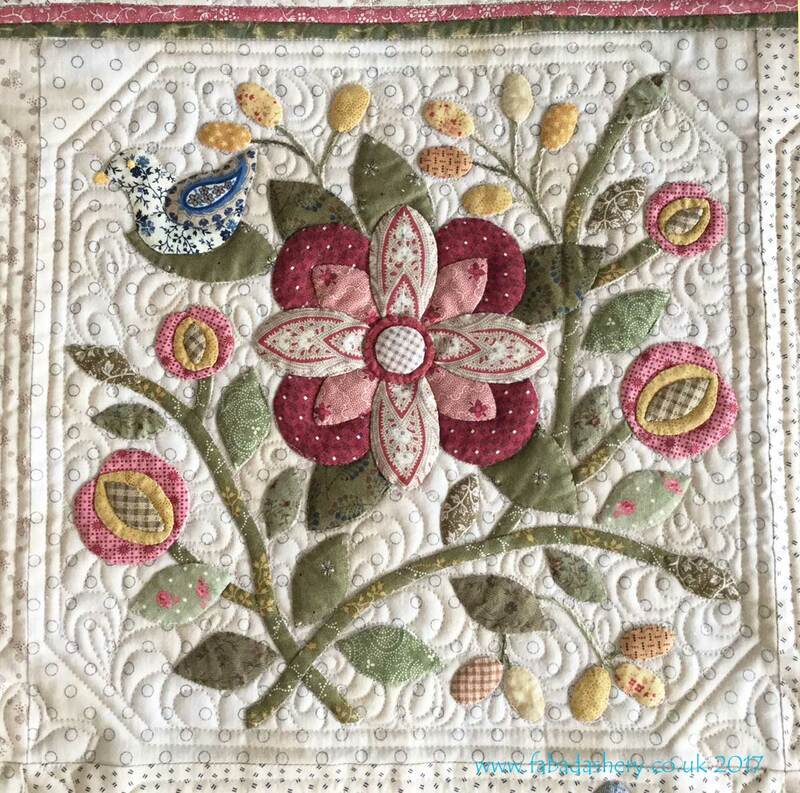 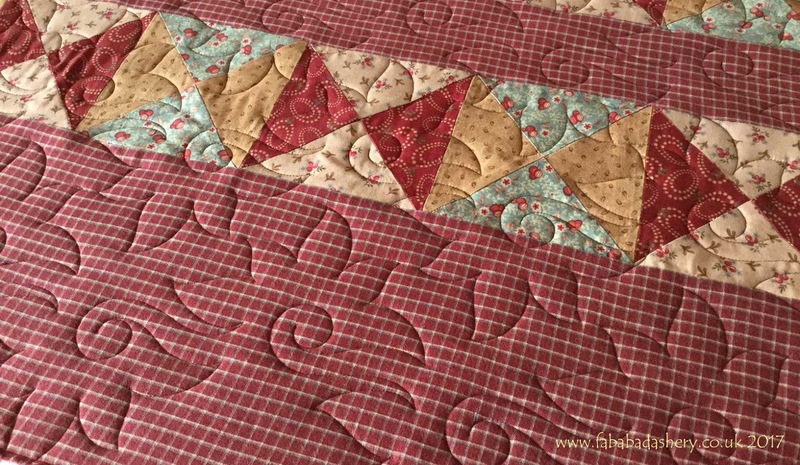 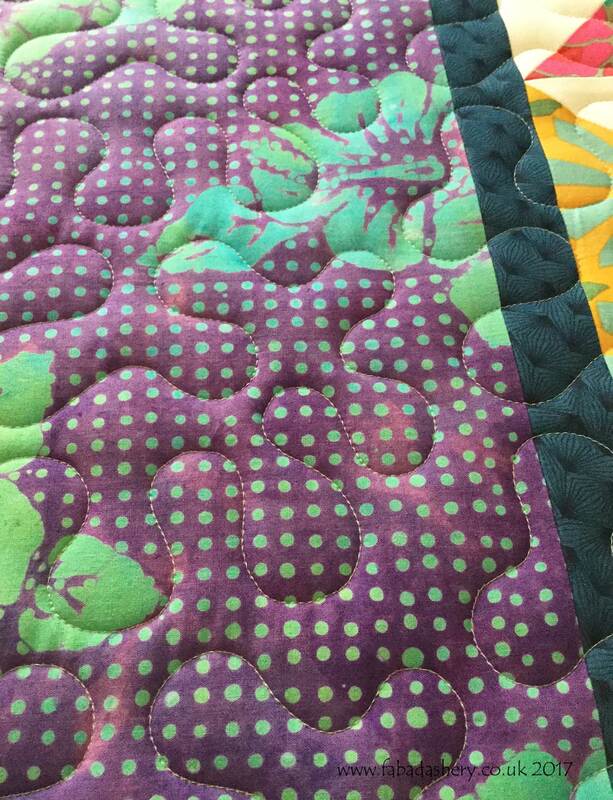 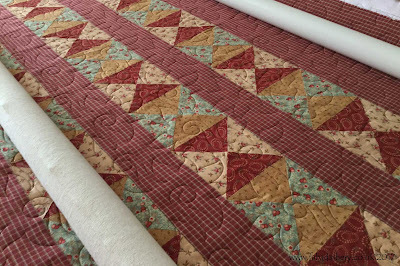 It is a great pattern as the quilting is evenly balanced and it adds a simple texture without overwhelming a quilt, letting the piecing and the fabrics take the leading role. 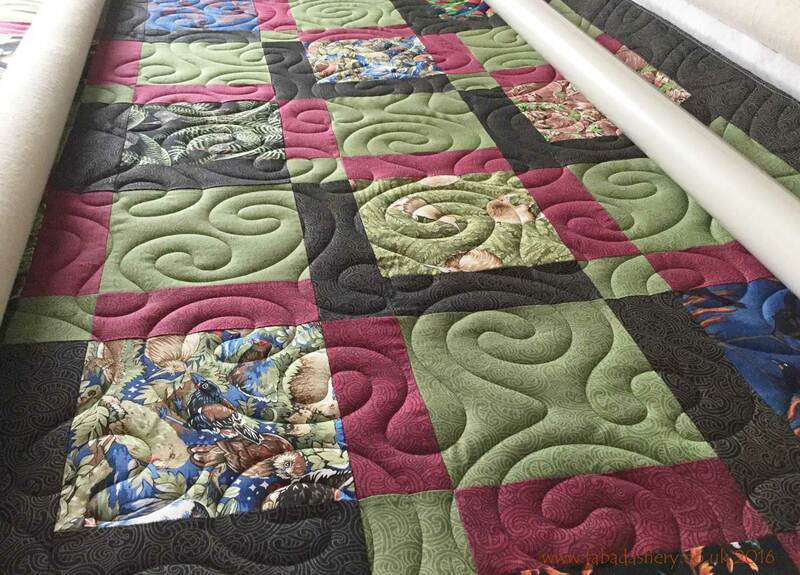 This quilt is heading to Cornwall where Sandra has had lots of 'Happy Times'.